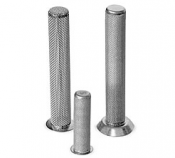 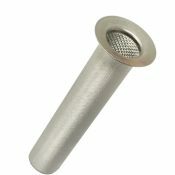 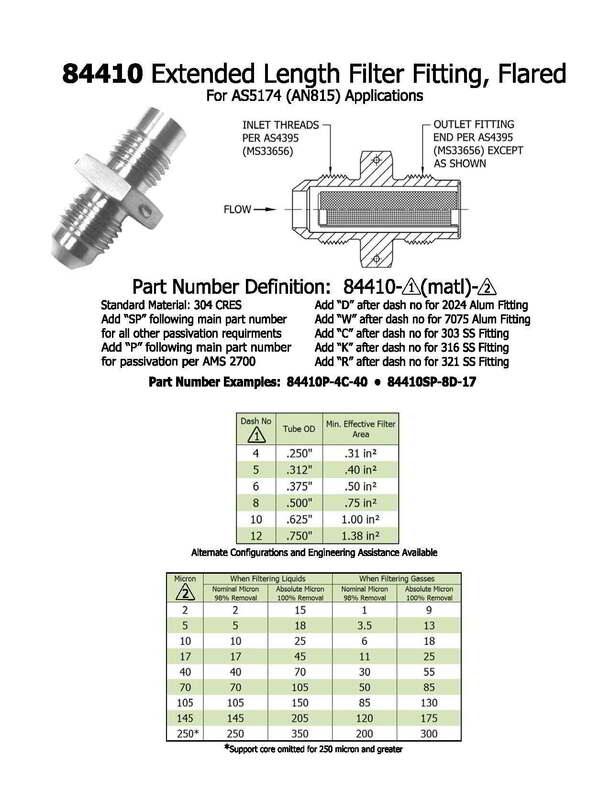 The AS5174 Extended Length Industrial Flared Filter fitting is designed for optimal flow and particle control. 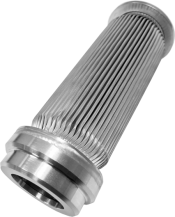 Ejay Filtration designs and manufactures all filter products to withstand the most intense conditions and maintain the highest level of performance. 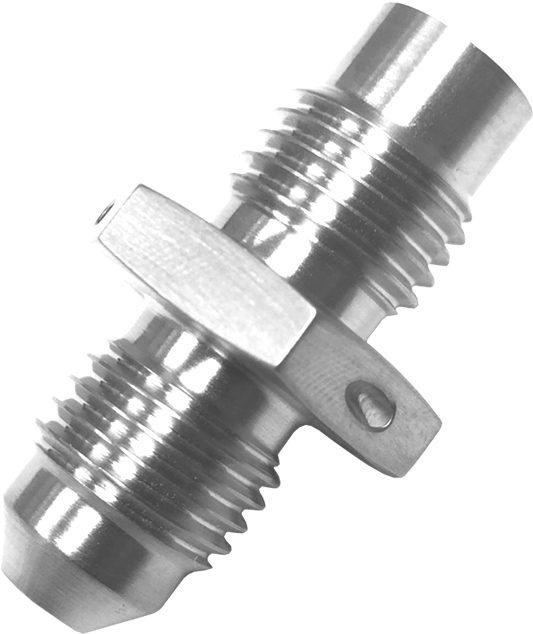 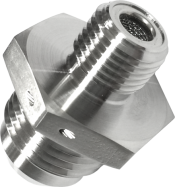 With the capacity to filter liquid and gaseous media as low as -65 degrees F and up to 550 degrees F, the Extended Length Industrial Flared Filter fitting will provide the performance required even under the most extreme conditions. 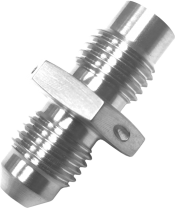 Select an aluminum fitting or CRES fitting, filter area, pressure constraints and size according to the specifications sheet or contact Ejay Filtration for more information on customized fittings built according to the needs of your equipment or application.